Alan Rubin has come a long way in 16 years. He first joined the cigar business in 1996, selling a cigar brand designed for sale at golf courses. It didn't succeed. Rubin had left the family fastener business for something he enjoyed: selling cigars. He named his young company after his two sons, Alec and Bradley, but struggled to find his way. Deep in debt, he realized he had to be in premium cigar stores. He gained a measure of popularity by selling cigars in bundles. Trying to find an edge in an industry that was going through difficult times, he showed signs of innovation early with the release of a cigar with a triangular shape, a first for the cigar business. In 2007 he finally hit his stride with the creation of Alec Bradley Tempus, a heavy-bodied cigar that brought his best ratings to date as well as industry buzz. Two years later, he created a blend called Alec Bradley Prensado. Rubin had smoked a very dark wrapper leaf grown in a region of southern Honduras called Trojes and decided to build a cigar brand around it, using Central American tobacco exclusively. And what a cigar he made. The brand hit the market in 2009 and was acclaimed from the very beginning. 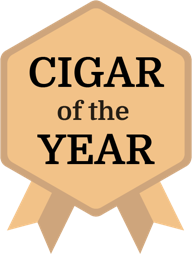 In a vertical brand tasting in Cigar Insider of the five original sizes, each scored 91 points or more and earned our accolade of Humidor Selection. The Alec Bradley Prensado Churchill, made at the superb Raices Cubanas factory in Danlí, Honduras, is as gorgeous a cigar as you'll ever see, with a picture-perfect head and a stunning wrapper. But it is the flavor that makes it a classic smoke. The Honduran and Nicaraguan tobaccos come together to create leather, chocolate and spice notes, and a long, lush finish.